Thank you for everyone that gave me such kind and positive feedback on my Cardiff Half Marathon 2016 post. As a result I have decided to keep posting my running experiences, training and thoughts. For anyone interested please feel free to subscribe to the latest posts using the email subscribe function on the right-hand side of my home page. A weekend all about running. Two races. Two locations. Two completely different events and experiences. 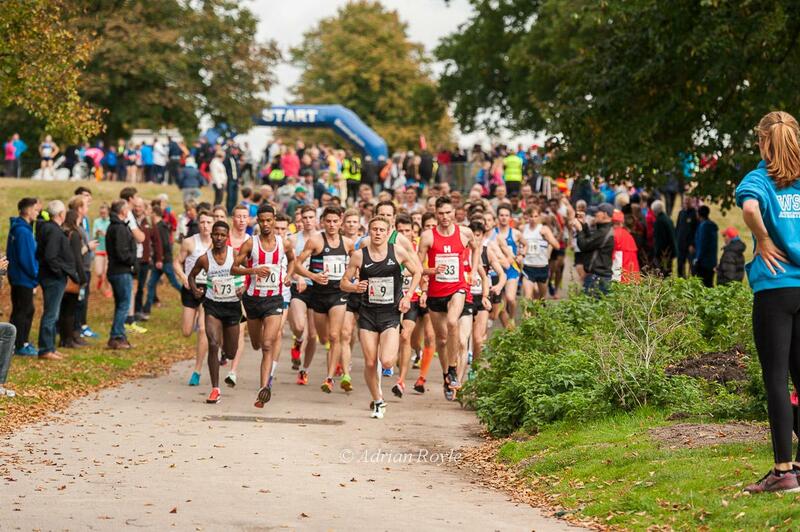 The first race was the national road relays taking place in Sutton Park, Birmingham. The best runners in the UK. An event laced in history. Olympians, international athletes, an array of top club runners, and aspiring juniors filled the beautiful park ready for a day full of drama. The men’s format is a 6 man relay event. The first runner of each team runs a 5.88km hilly loop before the second man takes off on the same grueling lap. The quality of athlete attending this event is unbelievable. A 15 minute 5K PB is ordinary in this company. You have world class athletes present such as Andrew Butchart (Rio Olympics 2016 – 6th in 5000m) and Dewi Griffiths (European Championships 2016 – 5th in 10,000m). This event is taken seriously. It is a huge day for running clubs across the UK. The weekend started on Friday night with a team jog through Sutton Park at dusk. After our precious legs had been crammed in to small, ‘dirty’ (according to my Eritrean friend Danal) cars, it was important to shake them out a little. There was a buzz about the impending weekend. “Crap!” we hear as Phil’s ankle turns over one of the rocks on the stony path. “I’ll run it off boys” he declares, as we all feared the worst. This was not the time to get injured. We were all here for the team. It almost feels like more pressure than usual as we were not running for ourselves, but that is half the fun of relays. Adharanand Finn; author of ‘Running with the Kenyans’ and ‘The way of the runner’; believes the opposite. He says team races feel less serious, and that the pressure seems to be dispersed among the team, with the sharing of responsibility resulting in less of a burden individually. As much as I wish to mirror his ability to feel less nervous before a relay event, I find it impossible. I come from a team sports background. I have always prided myself on giving everything for the team. The prospect of letting other people down in a team eats away at me. If I lost possession in football, I could always work hard to retain the ball. If I was at fault for a goal, I would be devastated, but there would usually be time for me to try and lift my performance and help the team to a positive result. Many of the smaller mistakes are hidden, disguised or forgotten about in a 90 minute game of football, but I would always remember every aspect of my performance. I always wanted the best for my team and that meant analysing my game. In relay running, your performance is laid bare. Your time is listed next to the other members of your team and all of your competitors. It even states how many positions you gained or lost for the team during your leg. There is no hiding if you have under-performed. For me, that is more pressure. When I race ‘for myself’ in an individual event, which I have decided to enter, and I have set my own personal target, I am the only person I am letting down if I run poorly. As much as my friends and family pretend to care, no one is really bothered if I run 27 seconds slower than a time I did previously over an arbitrary distance. I beat myself up after a poor race because I have let myself down. In a team event that guilt is magnified. Dinner time means Toby carvery. 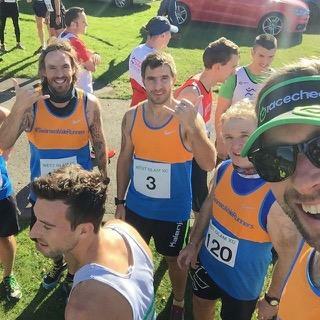 The first time I was lucky enough to be part of a national road relay experience back in April, I was surprised that a group of super lean runners were wolfing down plates piled high. Meat, veg and potatoes carefully balanced on the plate to maximise food consumption, with gravy spilling off the edges. “Great” I thought. I love food, and have a huge appetite. Most of the boys followed the initial mound of food up with a pudding. Apple crumble and custard? Yes please! After consuming more food than I would before a marathon, we all retired to our shared rooms. The Facebook group continued to buzz as Dewi introduced Danal to ‘American Pie’ on the box. It was starting to feel like a teenage sleepover, but we all knew we had a job to do the next day. Ian started doing his obligatory pre-race stretches followed by a 3 minute plank. “I need to start stretching more often. I used to do sit ups before bed. I’m going to start doing the small things.” I thought to myself as I tried to get some sleep. In the morning, it was all pre-race routine. First I had to try and calculate what time my leg of the race would be. I want to eat 4 hours before I run. I have had issues when I eat any closer to a race than that. It was back to Toby for some porridge. Typical. The rest of our team had beaten us to breakfast. I normally have toast before a race anyway, so it was fine. No honey though. No banana either. “It’s 3 miles Matt, you’ll be fine” I reassured myself. Ian was in panic mode. He didn’t want to change his habits. Runners like to stick to their pre-race routine. So 10 minutes later Toby carvery was making porridge with packets bought by Ian down the local shop. Problem solved. After breakfast, we headed to the park. It was heaving. A shop had been assembled selling road relay merchandise and the usual assortment of running gizmos. A few burger vans had taken the prime spots near the start/finish gantry for a busy day’s trading. The main grassy area was full of tents and banners representing makeshift club headquarters. Our ‘camp’ looked nervous. A few lads in camping chairs pinning numbers to their vests, and messing with sports bottles and the like. A few of us jogged part of the course to loosen up and ease some of the jitters. There are approximately 80 teams in the men’s event. Some teams get to field A and B teams in the race. Our ‘A’ team were not fancied according to ‘experts’ on social media. However, I had seen these boys in training and I knew that Swansea were in great shape to challenge anyone. The strength of our squad is so good that even our B team had 3 runners with 10K PBs sub 31 minutes. I was tasked with the 6th leg of the Swansea ‘B’ team. I was delighted to get picked for the squad and share the experience with such talented and hardworking athletes. 17 minutes later Danal was making his way up the final stretch in 2nd. Once he crossed the finish line, the next member of our team, Jack Gooch, set off. There is no baton like in shorter relays you see on the track; or sashes to go over your shoulder as in Ekiden, which are very popular road-relay events in Japan. Road relays are a strange event in that you have to work out when you expect your leg to start based on your predicted times for each member of your team. This means you end up warming up on your own. You then have to be ready waiting in the ‘next runner’ pen for your number to be called, before lining up on the start line in anticipation of being let go. When I say let go, there are marshalls pretty much holding you back as you twitch ready to use your pent up energy. As soon as their arm moves out of your way, you shoot off and chase the runner in the distance. When it got to my turn to wait in the starting pen, I knew that today was not about me. It wasn’t even about my team. Our B team had slipped back in the standings to middle of the rankings. Still very respectable, but the real drama was taking place in the race for national road relay champions. Some huge performances from the boys, headed by a mammoth display by Dewi had put us right in the mix. In the final leg Cardiff AC’s last runner Tom Marshall had set off at a blistering pace in the lead, closely followed by our own A team runner Jonny Hopkins. Incredible. We were narrowly in 2nd place with a leg to go, and chasing Cardiff of all teams. To add to the drama, Jonny used to run for Cardiff. 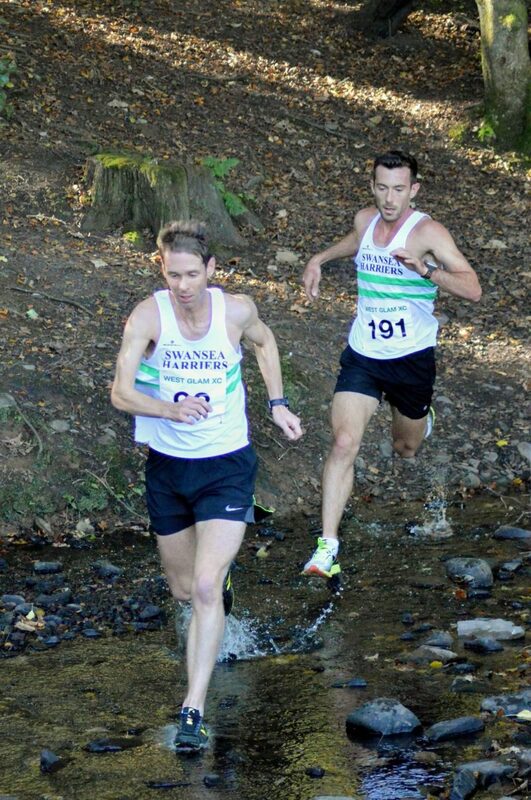 In the final leg in the Welsh cross country relays he had come from behind for Cardiff to pip Swansea to gold. Could he repeat this feat for Swansea on the road? 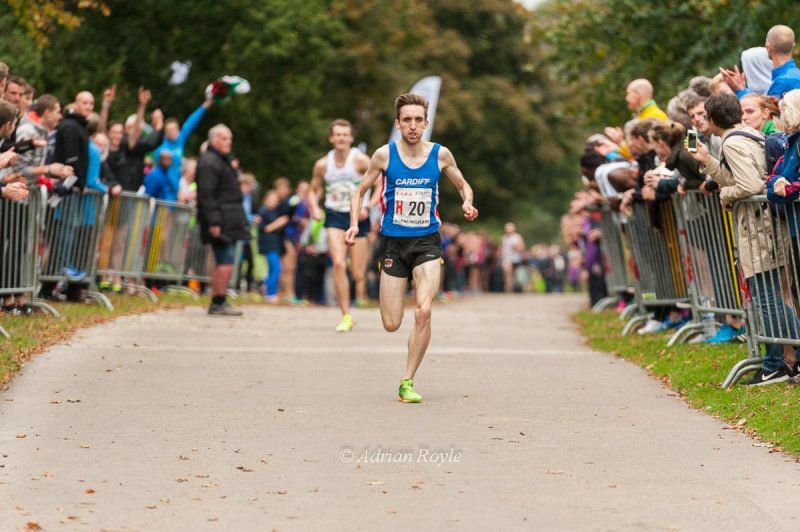 I set off a few minutes later knowing that I had to focus on my race, but in the back of my mind I knew that I was about to miss what was later described as one of the best finishes to a national road relays ever. I ran well. I saw the runner up ahead and reeled him in. Then I did it again. Each time I caught a runner ahead I would try to surge past them. Portraying strength and ease, when deep down I was hurting. Passing a runner ahead of you is as much mental as physical. If you can surge past an opponent, it demoralises them. It is difficult for them to pick up the pace and hold on, even if you aren’t actually going to be able to sustain that pace. I wanted my opponents to think I was cruising, to give up the chase, and start looking behind them rather than mustering the fight to reel me back in. Surging isn’t always beneficial for your own running, but if you can ‘break’ a rival then it has done its job. I am not used to running such short races. My legs were screaming to slow down but I pushed on and was able to claw back 5 places for the Swansea B team. The pace I ran would have earned me a 5K PB, but that can wait. Whilst I was in agony at the furthest part of the course, Swansea’s Jonny Hopkins had taken the lead. Surging to try and drop Cardiff’s 1500m specialist. With 400m left there was nothing between them. As both men sprinted, Tom’s kick was just enough to pull away and claim victory for Cardiff. As I crossed the line the first thing I wanted to know was the outcome. I could hardly get my question out over gasps of air. Disappointment flooded over me as I became aware of the result, and the realisation of how close the boys had come made it even tougher to bear. Jonny’s run was outstanding and one of the fastest legs of the day by anyone. That is sport. An incredible effort and Swansea got a silver medal. Cardiff were well-deserved champions. 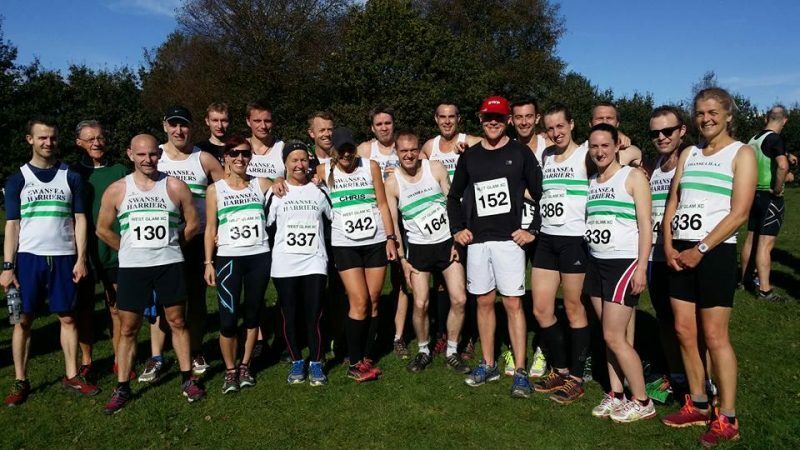 The atmosphere in the team didn’t stay low for long and people immediately started realising how brilliant a performance it was, and that we would come back stronger in the 12-stage road relays in April next year. The next morning I was racing again back in Wales. I made my way to the Gnoll Country Park where the second league fixture of the West Glamorgan Cross County was being hosted. On arrival I saw lots of familiar faces as well as some new ones. A coach full of Swansea Uni students had pulled up. Colourful paint and enthusiasm etched on their faces. The vibe was very different to the day previously. 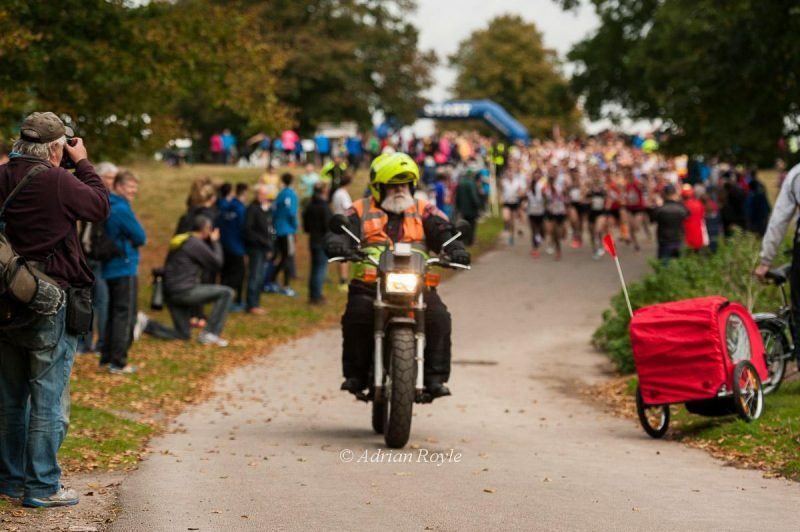 Runners of all shapes, sizes and ages queued to pay the £2 entry fee. Brian Fox showed me his V70 award from last year’s league, and discussed his close rivals for this year’s competition. Age is just a mere number, that competitive spirit and drive for self-improvement is present in abundance. After a short jog through the woods and around the lake, I was mingling with other runners. The newcomers to the league the Swansea Vale Runners #SVR were proudly modelling their new racing vests, whilst indiscreetly trying to recruit new members. Huge groups of runners were huddling together for the obligatory team photo. Some people were discussing their week gone by, whilst others were trying to work out the course layout. The race instructions were delivered over the loud speaker. I couldn’t really make out what was said over the buzzing of the huge pack of runners gathered on the grass. I decided to run this race for two reasons despite having raced the day previously. The first reason was because I want to win the league. To do this I have to enter all of the races or I will not accumulate enough points to challenge someone who does. Secondly, I have never raced at the Gnoll and have only heard good things. The course is made up of woodlands, hills, stream crossings, and grass. It is more a multi terrain race than a cross country but the setting is beautiful, and fun for running. Additional to my two reasons to run a third opportunity presented itself on the morning of the race. 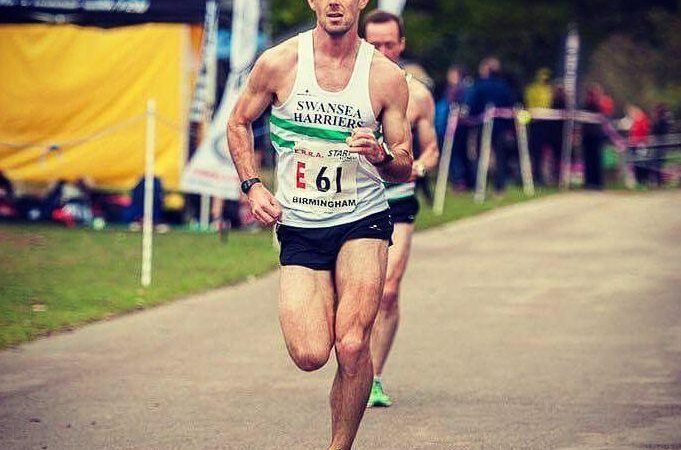 Marc Hobbs; the captain of Swansea Harriers; had decided to run. Marc is a quality athlete with an agonising 10K PB of 30:01. He won every West Glam cross country race last year, and has the record for most wins in the league. I do not try and hide the fact that I want to beat Marc. Beating Marc is a milestone. If I can beat him over any distance it will show that I am running extremely well and that I am improving. I have come close on one occasion, and nowhere near on many more. I have the utmost respect for Marc, and he has taught me a ridiculous amount since I joined the Swansea group. I wasn’t expecting Marc to run this race after the 6-stage exploits the day before, but perhaps this was my opportunity? The race started with an undulating grass loop. My legs felt heavy. I let Marc dictate the pace and sat right behind him as we soon had a gap on the rest of the field. To be honest I wanted the race to be as slow as possible until near then end, when I would try and use my sprint to good effect. Marc had other ideas. He took it out hard. I stuck with him, as we went from grass, to trail, to road, to streams, to stones, and back to grass. I was hurting as Marc flew up a long grassy hill. My legs just didn’t want to respond, and there was another lap to go. Marc seemed to kick on at the top of the hill, but this may have just been that I was so out of breath that I was unable to sustain his pace. He started to form a gap. I tried to close it but it was hopeless. Marc got away, and I tried to keep an honest hardworking pace to ensure 2nd place. I enjoyed the rest of the race. There was some congestion on the narrow trails but everyone was polite enough to move to one side when I called ahead. I finished the race a clear second, 48 seconds behind Marc. A great run by Marc and the realisation that he will not be beaten easily. After I had finished I jogged back to the grassy hill where I had lost the race. This was the final challenge for the incoming runners as they made their way to the finish line. I knew this was where people would need support, so clapped and cheered as runners gritted their teeth and dug deep. I observed as more and more runners battled the hill. Some were moving slowly, but they were red-faced, breathing hard, determination in their eyes. They are no different to the runners at the national road relays I thought. There may be a vast difference in ability, but we are all runners. We are all working against the part of our brain that tells us to give up, to slow, to stop. And we all get such satisfaction when we accomplish something, whether that is finishing a race, setting a PB, or beating our nearest rival. I reflected on my weekend. It had been a success but there was still so much room for improvement, but overall it had been so much fun. I was chatting with Wayne this evening about the Gnoll race. He appreciated your support on the final climb. Thanks Tom. It was a great day. Perfect weather and a tough course. Congratulations on your Welsh selection. Well deserved. Cheers Jon. Glad you enjoyed, and always appreciate feedback. Any races coming up? Great read. Well written and from the heart! Thanks Jules. That’s really kind of you to say. Please share. If anyone enjoys reading it then that’s great. Excellent Blog!! I read your blog, and you have written well. It’s informative for us.